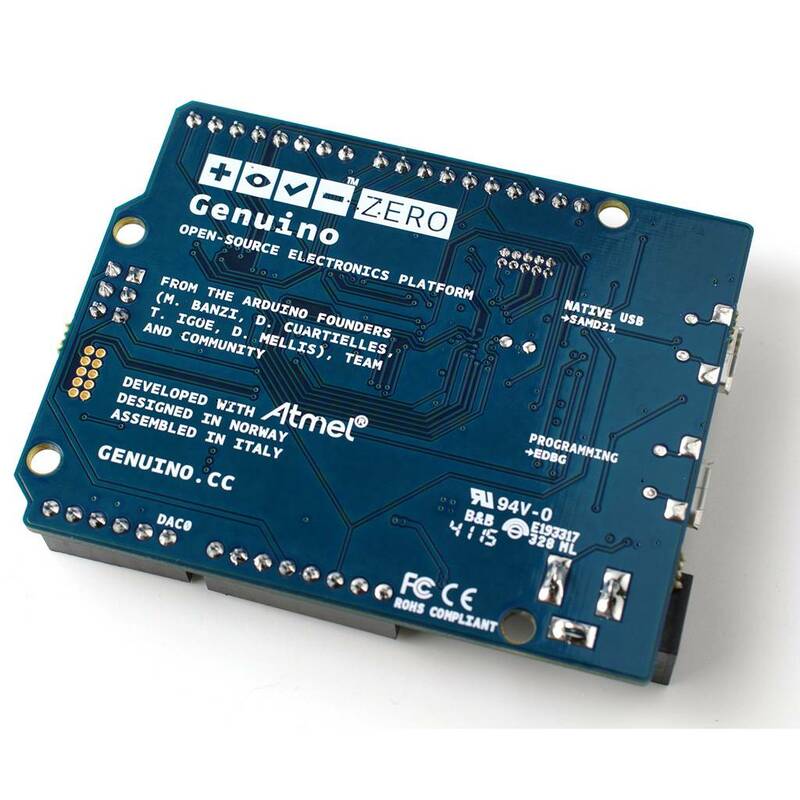 Genuino Zero is a simple and powerful 32-bit extension. This board aims to provide a platform for innovative projects in smart IoT devices, wearable technology, high-tech automation, crazy robotics, and much more. The Zero is a simple and powerful 32-bit extension of the platform established by the Uno. The Zero board expands the family by providing increased performance, enabling a variety of project opportunities for devices, and acts as a great educational tool for learning about 32-bit application development. The Zero applications span from smart IoT devices, wearable technology, high-tech automation, to robotics. 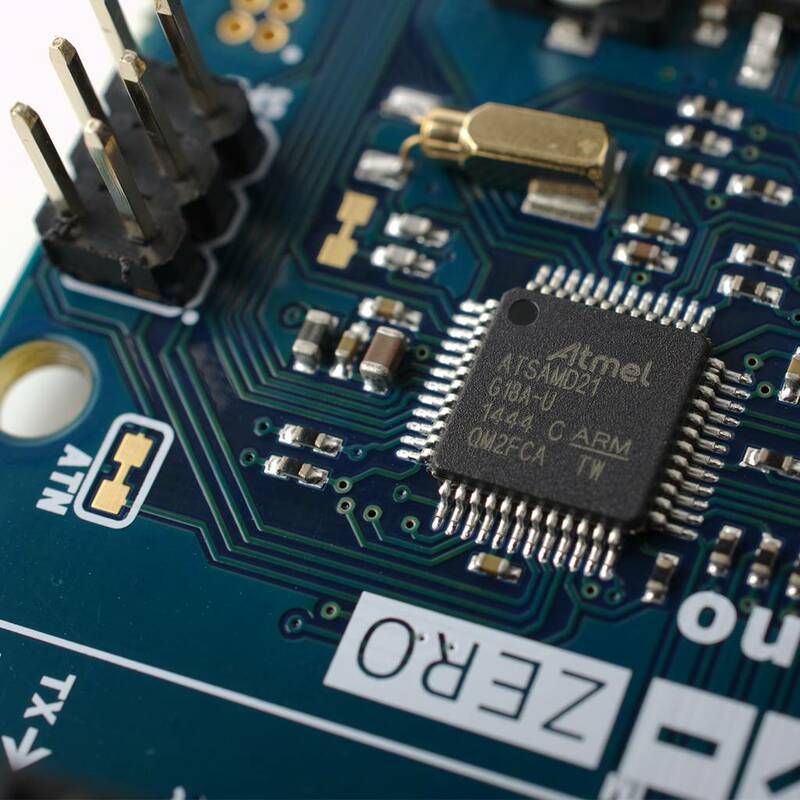 The board is powered by Atmel’s SAMD21 MCU, which features a 32-bit ARM Cortex® M0+ core. 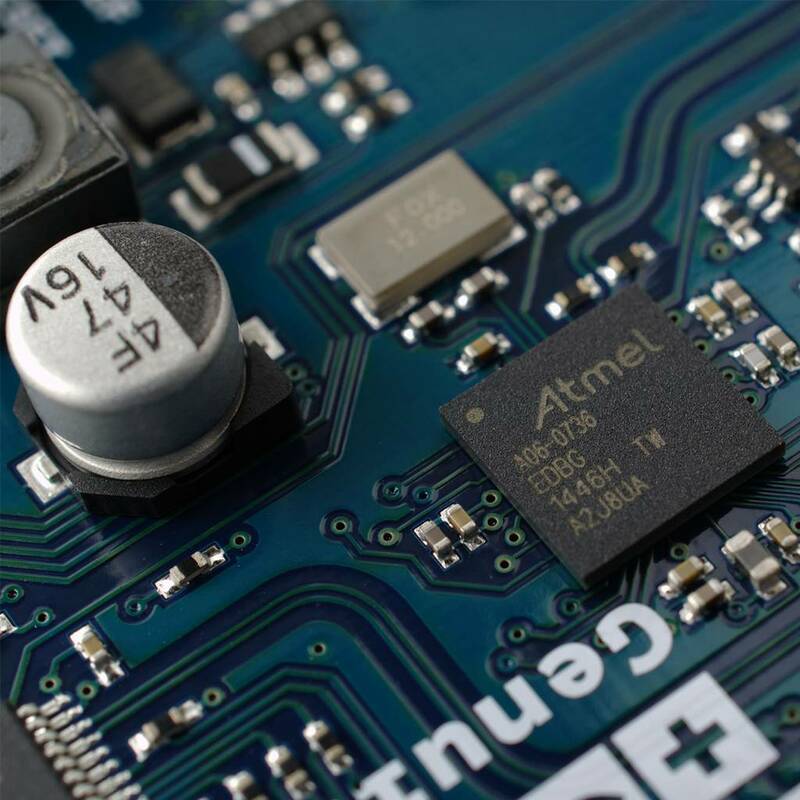 One of its most important features is Atmel’s Embedded Debugger (EDBG), which provides a full debug interface without the need for additional hardware, significantly increasing the ease-of-use for software debugging. EDBG also supports a virtual COM port that can be used for device and bootloader programming. Warning: Unlike most Arduino & Genuino boards, the Zero runs at 3.3 V. The maximum voltage that the I/O pins can tolerate is 3.3 V. Applying voltages higher than 3.3 V to any I/O pin could damage the board. The board contains everything needed to support the microcontroller; simply connect it to a computer with a micro-USB cable or power it with a AC-to-DC adapter or battery to get started. The Zero is compatible with all the shields that work at 3.3 V and are compliant with the 1.0 Arduino pinout. Please note : This product does not come with USB cable. 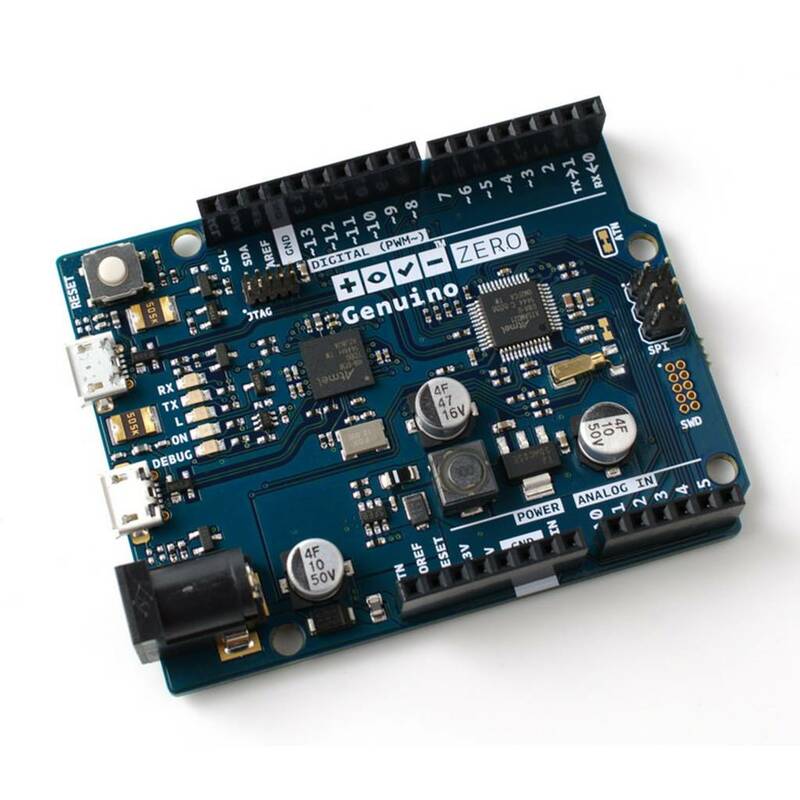 With the free Arduino development software you have your first project running in a few minutes! You can also find a getting started page, tutorials and a programming reference on the official website!